I am a graduate of the Psychoanalytic Institute of Northern California and have been in private practice in the Oakland-Berkeley area since 1982. Over the years, I have provided psychotherapy, couples counseling, and psychoanalysis to professionals from a variety of fields including the arts, engineering, law, medicine, education, and mental health. This experience has enabled me to develop a deep appreciation of the psychological conflicts that can arise when juggling the demands of career and professional advancement with personal, relational and/or family needs. Conflicts around these issues can hinder both effective performance at work as well as the attainment of a satisfying personal life. I have developed skills in helping people to work through these conflicts, to develop their unrealized innate potential, and to promote a more balanced, fulfilling life. An active teacher and leader in professional organizations, I am currently a faculty member and a personal and supervising analyst at the Psychoanalytic Institute of Northern California (PINC). 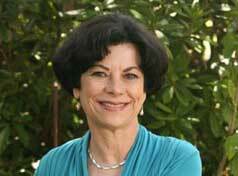 I am also a member of the clinical faculty as well as a supervisor at The Psychotherapy Institute (TPI), Berkeley. My past faculty appointments include serving as Chair of the PsyD Program at PINC and as a clinical faculty member at the Wright Institute in Berkeley, a graduate school program providing doctoral level training in psychology. Confederation of Psychoanalytic Societies, Training Analyst Member (CIPS).